If you want to start out the school year on the teacher's good side, I love this cute idea for an easy back to school teacher gift. 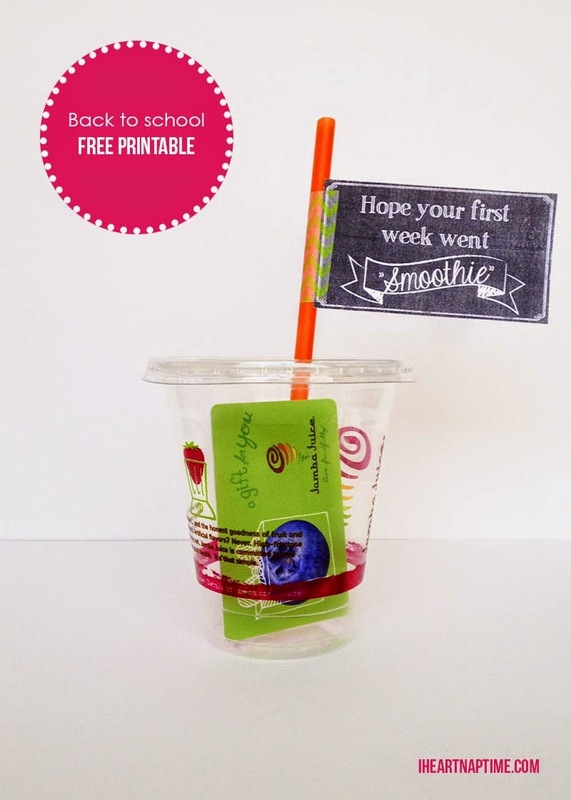 You can download this cute 'Hope your first week went smoothie" printable and attach it to a gift card from your local smoothie shop. You can download this printable teacher gift over at I Heart Naptime.